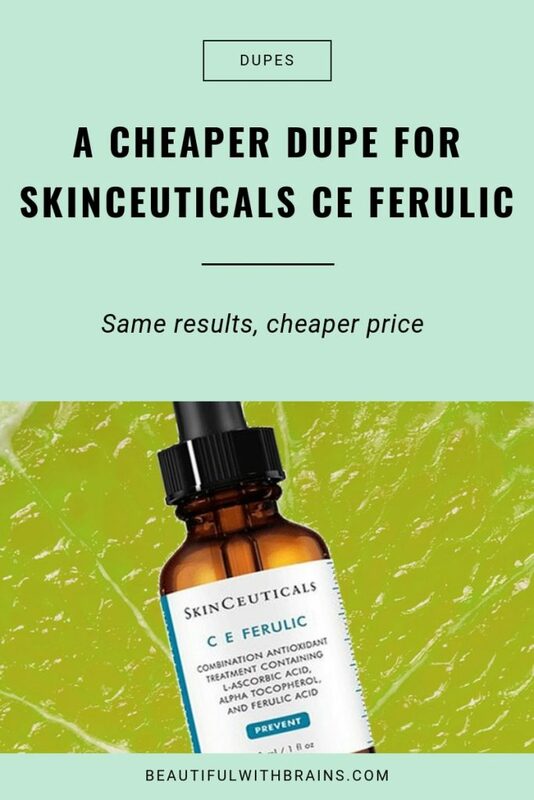 Skinceuticals CE Ferulic must be the most duped skincare product ever. As soon as its patent ended, everyone rushed out to copy it. Before, you couldn’t afford it without selling a kidney. Now you don’t know which dupe to get. Let’s compare what they do now, shall we? Both Skinceuticals CE Ferulic and Paula’s Choice C15 Super Booster use the same form of Vitamin C, L-Ascorbic Acid. L-Ascorbic Acid is the pure form of Vitamin C. It’s the most effective. And the most unstable. The problem? L-Ascorbic Acid is very fussy. It degrades whenever you expose it to light, heat and air. By degrades, I mean it loses a bit of its effectiveness overtime. Until it becomes useless. You’ll know when that happens. Vitamin C turns brown. This makes it very difficult to create a Vitamin C serum that works. And when the mission’s accomplished, the serum should be used ASAP. This isn’t something you can forget in a drawer for 6 months and still expect it to work. One more thing: L-Ascorbic Acid can be irritating. If you have sensitive skin, you’re better off with one of its gentler derivatives. FYI: L-Ascorbic Acid only works in high concentrations. Both serums have a whooping 15%! That’s enough to work its magic. Vitamin E and ferulic acid are two powerful antioxidants. They both fight free radicals (ferulic acid destroys THREE types of free radicals!) while Vitamin E moisturises skin, too. These days, I don’t even consider a vitamin C serum unless Vitamin E and ferulic acid are in it, too. Related: What’s Ferulic Acid And Why Should You Use It? A.k.a. Hyaluronic Acid. A moisture magnet that attracts water from the air and drops it into the skin. It’s so good at this, it binds up to 1000 times its weight in water. Now skin has all that moisture, it plumps up so your wrinkles look smaller. It gets softer. It glows. Paula’s Choice sneaked a peptide and a couple of texture-enhancers in there. But these are just minor details. The bulk of the formula is exactly the same so they’ll work the same. Is Paula’s Choice C15 Super Booster A Dupe For Skinceuticals CE Ferulic? Yes! Yes! Yes! It works just as well – and for a fraction of the cost! Have you tried both Skinceuticals CE Ferulic and Paula’s Choice C15 Super Booster? Let me know your fave in the comments below. Marta, it is similar but not a dupe. Neither product has vitamin E. Ferulic acid and vitamin C work better with it but you will still get good results without. I just prefer to have all three in the same products so I can reap maximum benefits. I love this one from Paula’s! Really lightweight and easy to apply. And I don’t mind the ‘crappy smell’ ? Hawy, vitamin C + vitamin E + ferulic acid can boost the sun protection of your sunscreen. If you use sunscreen religiously, you can layer vitamin C underneath for maximum protection. Otherwise, use it at night. Hello Gio! I am a big fan of your site! After reading your previous posts about vit C, vit E and ferulic I bought the timeless one -mostly because of the affordable price. Unfortunately I feel that it makes my skin a little drier. I assume this is because it does not contain L-Ascorbic Acid and I have sensitive skin? Perhaps I should give a try to Paula’s Choice C15 instead. Maria, if you have sensitive skin, both products will dry out your skin. You can try keep using the Timeless serum but on every other day. Another option is to use a richer moisturiser or a hyaluronic acid serum. Hope this helps. Thank you Gio for the advice! I will try it every other and see how this goes and introduce hyaluronic acid in my routine as well. Maria, you’re welcome. Let me know how it goes. I have used both. Hundred times over I will pay the extra money for the skinceuticals. Not only can I see and feel the difference but research backs up my reasoning. Skinceuticals has the right formula for the same ingredients which is key. Skinceuticals has a patent on the ph. It’s between 2.0 and 3.5 and they use the lower ph. The cheaper brand cannot go as low as skinceuticals and therefore, product does not have the same delivery. You can’t act as if the are the same, they are definitely not! Brynn, I knew Skinceuticals had a patent but I think it has expired. Paula’s Choice brought up her dupe afterwards, I believe and the ph is 3.0 so low enough to work. Hi Gio, how about CEF serum for Cosmetics skin solutions? Is it a dupe of Skinceuticals CEF? Poohnie, yes, that’s another great dupe. Go for it! 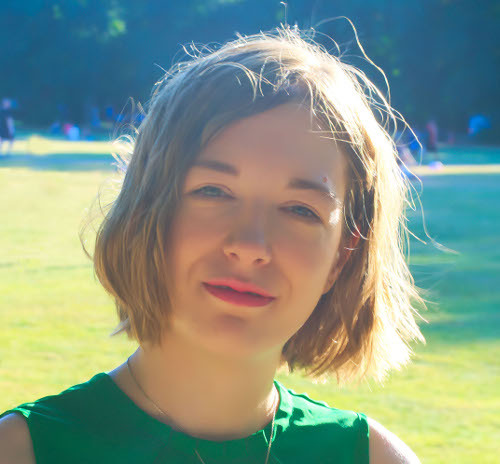 I’m trying to choose a vitamin C product and your blog has been such a big help. As a vitamin C newbie with dryish skin, is the PC product a good one for me to start with? My primary concern is photo protection btw. I spend most days in the sun and use sunscreen religiously. Tanya, so glad my blog is helping you! Yes, you can start with PC but I’d recommend you use it only every couple of days to give your skin time to get used to it. Excellent. Thank you for responding! I’ll take it slow. It is strange that Paula’s choice doesn’t have the concentration of ferulic acid and d-a-tocopherol like it does for Vitamin C, this causes me to pause considering it, it should be around 0.5% and 1% to match Skinceuticals’, otherwise there are cheaper versions of just L-ascorbic acid. Gabe. judging from the ingredient list, the concentrations should be the same. Maybe they left them out because people usually only ask about the percentages of vitamin C.
Hi, I recently discovered Paula’s Choice when I was researching cruelty-free alternatives to Lancome. I’d been happy with Lancome for years but am more aware now that quality products are available without the animal testing. Also, Lancome can be very pricey. I am loving my Paula’s Choice cleanser, exfoliant, and moisturizer. Thank you for all the information you provide on these products! I have just ordered the C15 booster to try for the first time. I’ve bookmarked your blog and will return whenever i have questions. Thanks again! Do you know if I should still continue to use the PC SKIN PERFECTING 2% BHA Liquid with this serum? Should I spread out my use of the 2% BHA and this serum(alternate days perhaps?) in case that using both would mean I am over-exfoliating? Shru, you can use them at alternate time. Use the vitamin C serum in the morning and PC BHA at night. Hi Gio is I want to use the Ordinary 30% Vitamin c suspension in Silicone + Resveratrol 3% + Ferulic Acid 3%, what’s a good product to add with Vitamin E and how do I layer? Colette, look at your moisturiser or sunscreen first. Chances are they already have vitamin E. On the ingredient list, it’s usually called “Tocopherol” or “Tocopheryl,” In this case, vitamin C first, then resveratrol + silicones and then vitamin E.
Hi Gio, would you still recommend Paula’s Coice to readers in the US where the Skinceuticals patent still seems to be in place? I’m curious if Paula’s Choice would’ve adjusted the formula in the UK (assuming the patent expired there) but hasn’t in the US. Looking at the US patent website, it looks like it’s valid at least through 2021 (when the next fees are due to maintain it). Lydia, I know L’Oreal is suing brands that are infringing on this patent. I’d say get your fix from Paula’s Choice while you can! Hi Gio, what are your thoughts on Maelove’s The Glow Maker serum as a dupe for Skinceuticals? Michelle, I don’t like the fact it has a scent because it could potentially irritate sensitive skin. But if you don’t mind that (I know that many women love fragrance in their skincare, it is a good alternative that works just as well. I just logged on to Paula’s Choice website and noticed they have reformulated this product. It is classified as “last chance” as they have changed the packaging and the name. Although the site states it’s the same formula, the ingredient list has changed. I captured the original and reformulated ingredient list for everyone’s benefit from the website (12/05/18). I hope you can provide us your opinion on this change. Thanks – love love your site! Water, Ascorbic Acid (vitamin C/antioxidant), Butylene Glycol (hydration), Ethoxydiglycol (hydration), Glycerin (hydration/skin replenishing), PPG-26-Buteth-26 (texture-enhancing), PEG-40 Hydrogenated Castor Oil (texture-enhancing), Pentylene Glycol (skin replenishing), Tocopherol (vitamin E/antioxidant), Sodium Hyaluronate (hydration/skin replenishing), Hexanoyl Dipeptide-3 Norleucine Acetate (skin-restoring), Lecithin (skin-replenishing), Ferulic Acid (antioxidant), Panthenol (skin-replenishing), Bisabolol (skin-soothing), Oryza Sativa (Rice) Bran Extract (skin-softening), Hordeum Vulgare Extract (antioxidant), Propyl Gallate (antioxidant), Sodium Gluconate (stabilizer), Sodium Hydroxide (pH adjuster), Phenoxyethanol (preservative), Ethylhexylglycerin (preservative). Sandra, thank you so much for your detective work. 🙂 It seems the main change is that they’ve added more hydrating ingredient to the formula to give more moisture to the skin. As far as the antioxidants are concerns (vitamin C, vitamin E and Ferulic acid), nothing has changed. Ascorbic acid is still number 2 on the list and the other two are present at 1% and 0.5% respectively. After they hit the 1%, ingredients can be listed in random order on the label. So it may seem that in the second list, they’ve fallen down the list even though their concentration hasn’t changed at all!